Wearable electronics startups and companies seeking to be leaders in the industry will find that Greater Phoenix provides many assets and resources to succeed, as well as the ability to easily assimilate into both the corporate and community environments. The region touts itself as “the Connected Place,” fostering an environment where expanding technology businesses thrive. 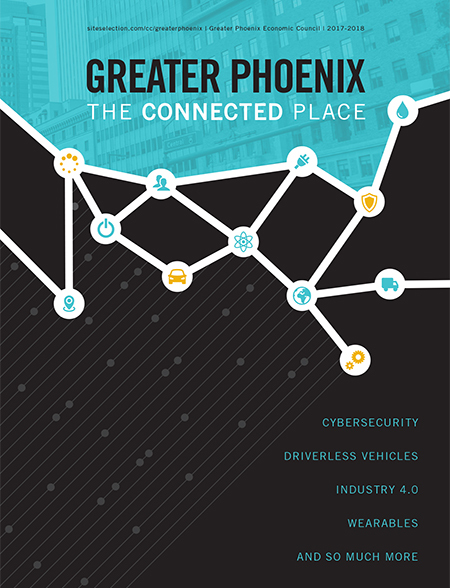 Companies with a presence in the Phoenix metro such as Medtronic, Garmin and NXP Semiconductors are making investments in wearable electronics, both in military and health care applications, says Chris Camacho, president & CEO, Greater Phoenix Economic Council. ASU has a number of developable sites, some with hundreds of acres, to develop corporate facilities “adjacent to or embedded in our academic campuses,” Hardy says. “The university is uniquely driven culturally to work with companies to apply its work in the real world.” Companies will also find they can easily position themselves as leaders in the community.